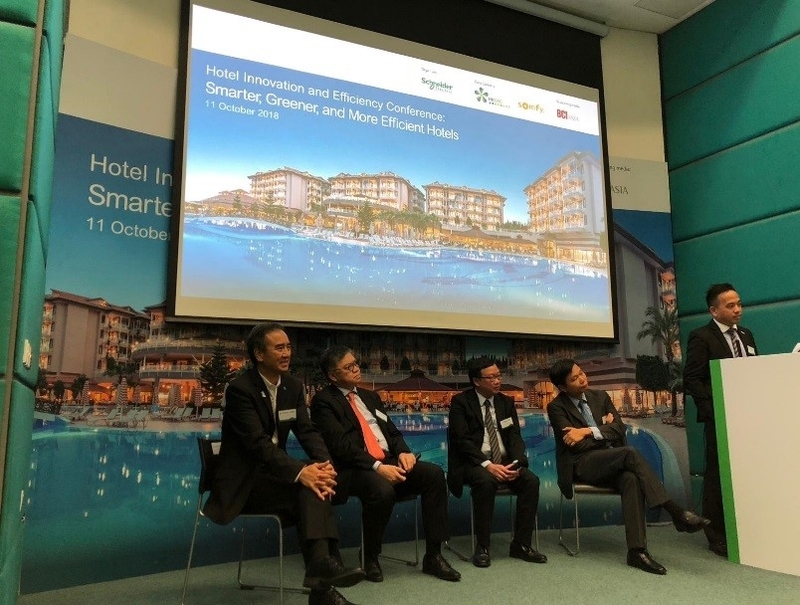 Ir Nelson Tam, Associate of TEEM, was invited to be one of the honorable speakers in the Hotel Innovation and Efficiency Conference organized by Schneider Electric (Hong Kong) Limited and co-organized by Hong Kong Green Building Council (HKGBC) on 11 October 2018. 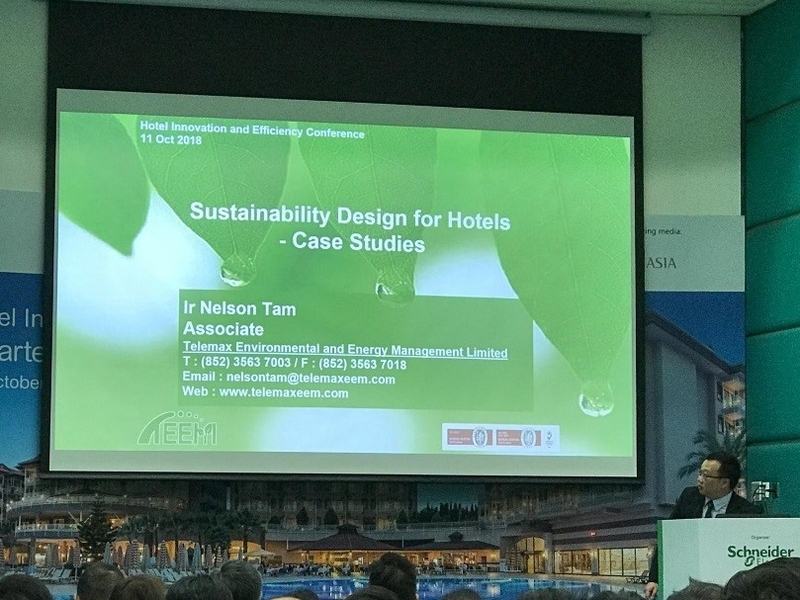 He gave a sharing in “Sustainability Design for Hotels” and presented two case studies of TEEM’s remarkable hotel projects. The first case was the Holiday Inn Express Hong Kong SoHo (Holiday Inn SoHo). Located at Jervois Street, the Holiday Inn SoHo sits near the center of the hotel cluster at Sheung Wan. Being the first hotel ever achieved four platinum or equivalent ratings under BEAM Plus, LEED, Green Mark and China Three Star, the Holiday Inn SoHo showcases its high standards in sustainability to the industry. Highlights were made on the aspects of greenery provision, selection of sustainable materials, energy efficient E&M systems, rainwater harvesting system, as well as intelligent cooling in guest rooms. All these sustainable features contributed to an excellent energy performance with over 60% saving compared to a hotel in similar scale. While guests’ experience is elevated, the operation cost of the Holiday Inn SoHo is lowered. 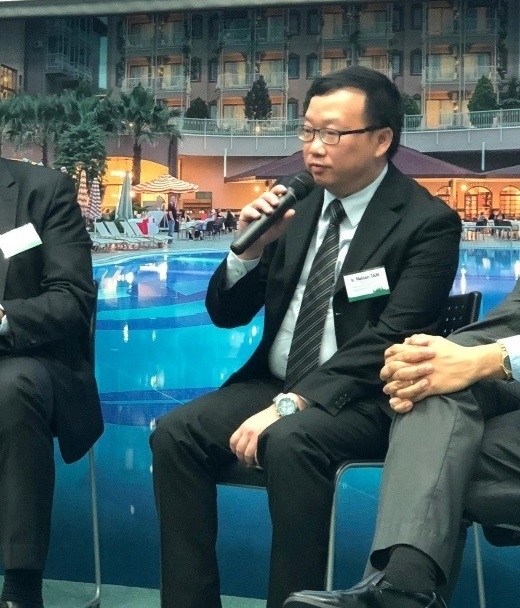 The second case was a 42-hectare hot spring resort located in Huizhou of the Guangdong Province with a target Gold rating under LEED BD+C (v2009). For this extensive development, more focus was put on preservation of natural habitats and river resources as well as conservation of natural energy source of hot spring. A heat recovery system was introduced to utilize the waste heat energy from the used hot spring for potable hot water supply and space cooling to the resort, as well as to ease the ecological impact caused by high water discharge temperature on aquatic life.